Catch a concert and jam out at these classic Seattle venues. 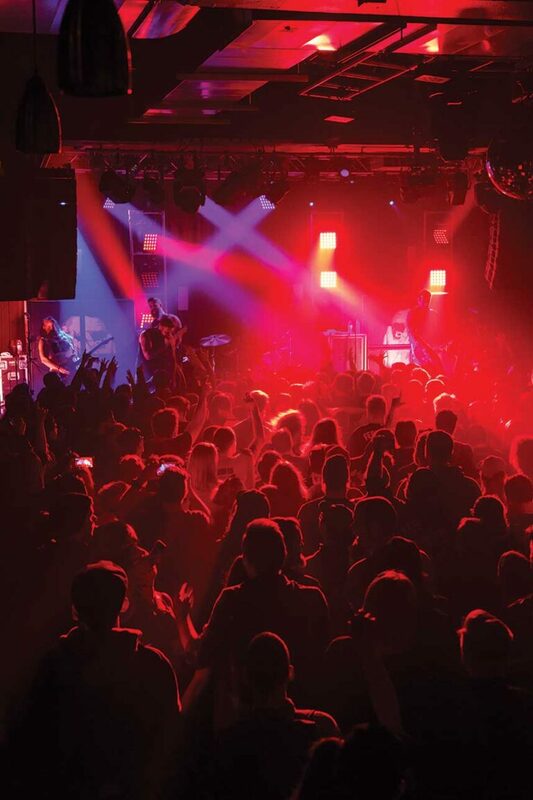 Home to more than 80 clubs and venues, Seattle’s music scene is as diverse as the artists that have graced its stages. Start your musical sampling downtown at the oldest operating theater in Seattle, The Moore Theatre (*1932 Second Ave; stgpresents.org). Its circa-1907 space also lends itself as an intimate concert venue that hosts singer-songwriters and alt-rock acts. Originally a vaudeville house when it opened in 1926, The Triple Door (*216 Union St; thetripledoor.net) has a speakeasy feel—guests can enjoy dinner and a show. Craving the classics? Let the Seattle Symphony (*seattlesymphony.org) serenade you at Benaroya Hall (*200 University St; seattlesymphony.org/benaroyahall), with more than 200 live performances a year. For less posh and more mosh, Capitol Hill’s Neumos (925 E Pike St; neumos.com) hosts a range of alternative and indie acts. A springboard for legendary acts Pearl Jam and Nirvana, The Crocodile (2200 Second Ave; thecrocodile.com) features up-and-coming hip-hop, rock, and punk acts. Lean toward smoother tunes? Dimitriou’s Jazz Alley (2033 Sixth Ave; jazzalley.com) keeps the tradition of live jazz going with a roster of local and international talents. The Showbox (*1426 First Ave; showboxpresents.com) near Pike Place Market and its sister location, Showbox SoDo (*1700 First Ave S; showboxpresents.com), are iconic institutions for headlining bands, hosting legends like the Ramones and the Sonics. A white sea creature adorns the stage at Seamonster Lounge (2202 N 45th St; seamonsterlounge.com), a haven for local bands playing jazz, funk, and other eclectic sounds. Meanwhile, Nectar Lounge’s (412 N 36th; nectarlounge.com) laid-back enclosed patio and above-stage mezzanine bar are two fantastic places to jam along with reggae, brass, and more global tunes.